We rate this as four bottles based on the niche of a special environment for those not worried about being driving distance to the track. Prestige car owners worried about camping with the masses or wanting a different experience from being trackside. Beermountain friendly agent with knowledge & experience of Le Mans and how to make the most of it by car. Supports our charity, Mission Motorsport. Highly civilised camping with the "right crowd". Ease of access pre and post race. Off site - journey to be trackside. Missing the atmosphere of trackside camping. 44km south west of Arnage, around 40 minutes without traffic. Our Le Mans base at Chateau de Dobert offers our guests superb and exclusive camping and is the ideal location and choice for owners of classic, sports, prestige and performance cars seeking to avoid the noise associated with the circuit and other campsites. It is also ideal for car clubs and race teams. The superb tranquil surroundings of Chateau de Dobert offer guests secure comfortable camping with quality shower and toilet facilities. In addition we offer a continental breakfast each morning, welcome drinks, a buffet on Thursday evening and a farewell BBQ on Sunday evening. To compliment this we also have beer, wine and soft drinks on sale in “The Auberge de Dobert” for your added enjoyment. 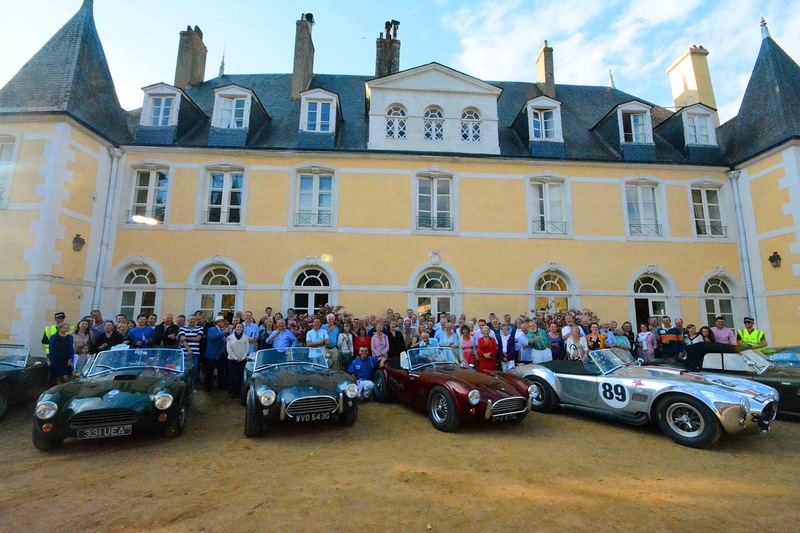 Join us at Chateau de Dobert for the Le Mans 24 Hours and Le Mans Classic 2016, don't leave it too late though as numbers are limited to preserve the unique, relaxed and friendly atmosphere.